The port is mentioned in Pliny the Elder's Natural History (III.v) and in Tacitus' Histories (III.42), when Fabius Valens was forced to put into the port (Fabius Valens e sinu Pisano segnitia maris aut adversante vento portum Herculis Monoeci depellitur). 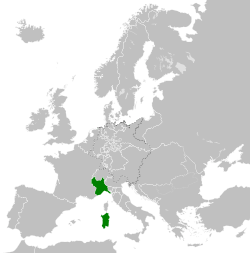 In 1191, Holy Roman Emperor Henry VI granted suzerainty over the area to the city of Genoa, the native home of the Ligurians. 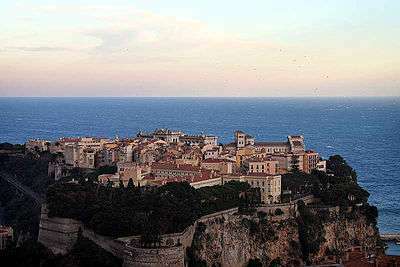 On June 10, 1215, a detachment of Genoese Ghibellines led by Fulco del Cassello began the construction of a fortress atop the Rock of Monaco. 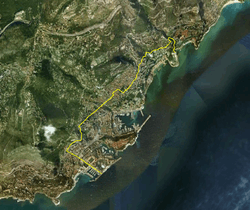 This date is often cited as the beginning of Monaco's modern history. The famous Casino of Monte Carlo opened in 1863, organized by the Societé des Bains de Mer ("Sea-bathing Society"), which also ran the "Hotel de Paris"; taxes paid by the S.B.M. have been plowed into Monaco's infrastructure. Economic development was spurred in the late 19th century with a railway link to France. In July 1918, a treaty was signed providing for limited French protection over Monaco. The treaty, written into the Treaty of Versailles, established that Monegasque policy would be aligned with French political, military, and economic interests. 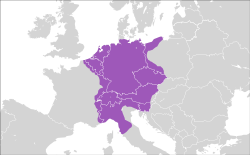 One of the motivations for the treaty was the upcoming Monaco Succession Crisis of 1918. 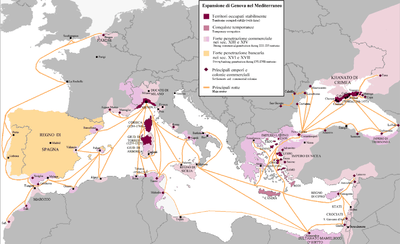 Nonetheless, his tiny principality was tormented by domestic conflict partly as a result of Louis' indecisiveness, and also because the majority of the population was of Italian descent; many of them supported the fascist regime of Italy's Benito Mussolini. In November 1942, the Italian Army invaded and occupied Monaco, setting up a fascist puppet government. Soon after in September 1943, following Mussolini's fall in Italy, the German Army occupied Monaco and began the deportation of the Jewish population. Among them was René Blum, the prominent French Jew who founded the Ballet de l'Opera in Monte Carlo, was arrested in his Paris home and held in the Drancy deportation camp outside the French capital before being transported to the Auschwitz concentration camp, where he was later killed. Blum's colleague Raoul Gunsbourg, the director of the Opéra de Monte-Carlo, helped by the French Resistance, escaped arrest and fled to Switzerland. In August 1944, the Germans executed René Borghini, Joseph-Henri Lajoux and Esther Poggio, who were Resistance leaders. Under Prince Louis' secret orders, the Monaco police, often at great risk to themselves, warned in advance those people whom the Gestapo planned to arrest. The country was liberated, as German troops retreated, on September 3, 1944. 1 2 3 4 P. Christiaan Klieger (29 November 2012). The Microstates of Europe: Designer Nations in a Post-Modern World. Lexington Books. pp. 165–. ISBN 978-0-7391-7427-2. ↑ R. L. Rike (1987). Apex Omnium: Religion in the Res Gestae of Ammianus. University of California Press. pp. 24–. ISBN 978-0-520-05858-3. ↑ Internet Archive. "Monaco and Monte Carlo". Retrieved 19 October 2009. ↑ Ermanno Amicucci. Nizza e l'Italia. Mondadori editore. Milano, 1939. ↑ "Monaco History, History of Monaco – Allo' Expat Monaco". Monaco.alloexpat.com. Retrieved 28 May 2012.